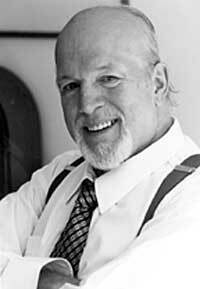 Canadian baritone Louis Quilico passed away last July at age 75. In his later years, Quilico devoted much of his time to teaching. He was the only Canadian included in Jerome Hines’ interesting book, Great Singers on Great Singing. As an homage to Quilico, La Scena Musicale presents an adapted version of his “Nine Laws of Singing,” taken, with permission, from Mr. Rigoletto (Captus Press), a collection of interviews edited by his second wife, Christina Petrowska. How did you develop your technique and your laws of singing? 1. How to stand: If you don’t stand in the right position you create tension. Never distribute your weight evenly on both feet, which creates complete tension, or transfers it to one place. Shifting weight from one foot to the other allows your shoulders to settle and relax. 2. Support: If you place your hand on your abdomen and press the lower abdomen, the stomach area comes out. You have two sets of muscles here. The lowest muscles of your abdomen provide support, like shock absorbers cushioning a bouncing car. Don’t breathe by using the chest muscles. There’s only one way to breathe—by going down to the lower abdomen, because then, instead of pushing against the muscle you use it as a protective floor. the little pipe makes the process gentler. Never think about inflating your lungs, but try saying “yes” with no hint of expanding the lungs, and feel your actual breathing. The lungs will inflate. Also, never breathe through the nose or the mouth exclusively—use both. a stage where you can move different muscles, one at a time. At some point, everything merges into one action, but you are still aware of the individual actions needed. Opening the throat not only requires an up and down movement, but the ability to feel the larynx expand. Think of an expanding pipe that can move up and down: you should feel the expansion at the larynx (the Adam’s apple), not at the back of the throat (the pharynx). Watch your head position, which cannot be dropped or lifted. The throat has to feel it’s in its proper “socket,” otherwise it won’t function correctly. If you lower your head, you collapse the larynx and the throat can’t function. Likewise, the larynx collapses when you raise you head. If you want a pipe to give you a tremendous jet stream, make it straight, don’t bend it. Eliminate obstructions. The larynx should be vertical. 5. Tension of the vocal cords: If you make a tiny, raspy sound, the tickling it creates in your throat irritates you. This irritation shows you where your vocal cords are. I like to feel the cords moving through the air when I sing. Actually, you’re compressing air, and it’s the cords that make the pressure, not the wind or breath. The voice is the most flexible part of our body, and the pressure we use should never be great, but extremely flexible. The vocal cords, which should be tense, like a violin string with air for a bow, must move down into the air. 6. Broadness of sound in the cheekbones: We’re taught that we use resonance to sing. What makes resonance? Collapse the cords, and there is none. Tense them a little, and there is more. The upper palate lifts, providing more space. At the same time, imagine that you are increasing your facial space (actually a question of elasticity more than gaining space). You have to feel your face becoming very, very broad. The sound itself is a little point about eighteen inches in front of your nose, and you sing into that little hole. You have to reach your bone cavities as much as possible and be aware of your cheekbones. 7. Lifting the eyes: It’s a question of feeling space. If I lower my eyes, I’m not aware of the ceiling. But when I take a breath and raise my eyes and eyebrows, I’m aware of taking air from the whole room. Just lifting my eyes makes me more sensitive to the space around me. 8. Combination of air intake and feeling: When I breathe, instead of swallowing air I absorb it, so that it goes to the brain. Oxygen passes into the bloodstream, circulates throughout the body, and passes out again. This cycle creates incredible strength. It’s like yoga. Between inhaling and exhaling there is suspension. If I push oxygen out, I lose what I need. If I’m not pushing it out, I can use its strength to give my voice power. To achieve this suspension and equilibrium, think of a tightrope walker. When he starts to walk on the wire, he touches it with his toe to get the feeling of it. He then slides onto the wire, like a blind man using only his feet to navigate. It involves supreme concentration. 9. Making a sound: When you make the right sound it’s like ecstasy. Then you can sing. This sensation of ecstasy involves rotation of the hands, moving from the inside to the outside. Rotation should be away from your face, not toward it.